The staff were friendly & helpful. The environment is clean and welcoming. And the doctor was incredibly nice and through and answered all of my questions with no hesitation or frustration (I’ve never wore glasses, so I had several questions). I had a great experience with my vision test and contact lens fitting. Everyone was very courteous and professional. Will definitely be a repeat customer. The doctor was professional, thorough, and kind. The sales staff was friendly but their hard sell of extremely expensive glasses was a bit obnoxious. Trust that women don’t need a male salesperson to let us know what’s right for us. Great service, friendly staff, easy to schedule and overall a very positive experience. Dr. Del Corro was extremely nice, efficient, and informing. I look forward to working with JLO in the future. Excellent, highly professional care and treatment! A great staff, everyone helpful, kind and thoughtful. Recommended completely without hesitation (also a very attractive office!). Everyone was helpful and Dr. Andrea was very nice, quick and knowledgeable. Great exam. Love that she explained everything. Very quick, efficient, and helpful! My experience was great, however on Saturday when I went to pick up my glasses, I arrived at 11am, 1 hour after the store was supposed to open, and no one was there. Very frustrating and unprofessional. Very good experience. Simple eye exam but doctor was very knowledgable and engaged. Front desk staff was helpful. Everybody helpful, informed, and nice. Thanks! The doctor and the front desk are both great. 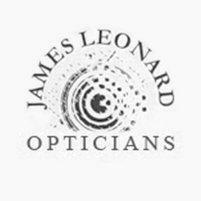 I love going to James Leonard Opticians. The doctor took her time with me and provided lots of valuable information and answered all of my questions. The Mykita frames I got are very stylish and don't look as though they are as high of a prescription as they are. I actually enjoy wearing them out in public! The woman who helped me select them did a great job and made the experience fun. I would recommend this optician to everyone.